Our resident voice talents offer you a variety of narration vocal styles and performance levels to choose from when selecting the voice that best suits your requirements. Please indicate the gender and type of voice you are interested in hearing when requesting our services. Take the total number of words in your script and divide them by 9300. This is approximately how many finished hours of audio your book will be. We have been in service since 1983. We have never had a book rejected by a publisher or end-client due to a proofing error. Punch and roll narration is a prerequisite for our audio proofing services. We require an initial minimum submission of two chapters of your work before your text will be scheduled for review. Our standard rate is $25 per hour to review your audio files and provide you with documentation indicating the time location of audio errors. We notate pronunciation errors, characterization discrepancies, extraneous noises and technical issues which may detract from the listening pleasure of your audience. Research and proofing your file will be done at a rate of $40 per hour. Research consists of finding credible pronunciation authority for the words you provide. Foreign language research is not a standard service offering. Several of the Angels are bilingual. If your book incorporates a non-English language which we have familiarity with proofing, French, German or Spanish, we will on a case by case basis determine if we will be able to assist you. Fact checking is available for previously non-published text manuscripts of a nontechnical nature. 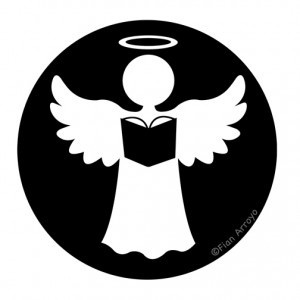 We are currently only publishing titles produced by Audiobook Angels. A calendar will be posted here when our schedule opens for external projects. The 2016 schedule is now open for appointments.